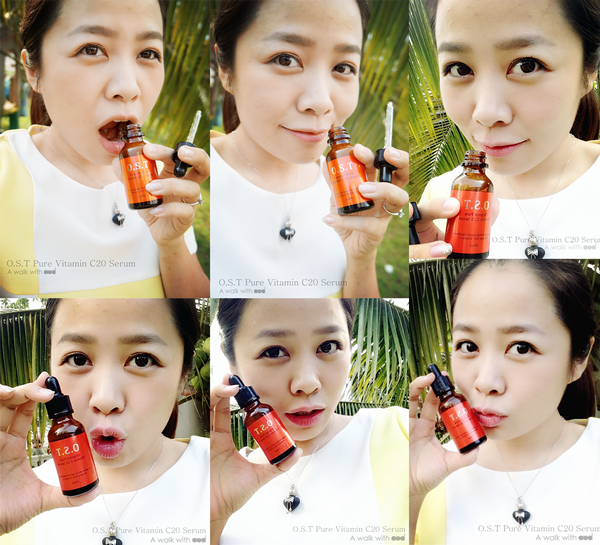 Every ladies' dream is to be a snow white, to have a fair white skin. It's not an easy path but ladies just won't give up on it. 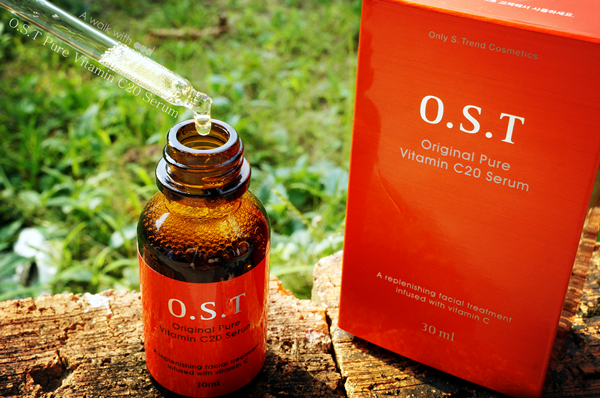 Many of you know that in order to achieve that, Vitamin C is essential but there are various Vitamin C products in the market from supplement pills, drinks, to facial products, so which to choose? 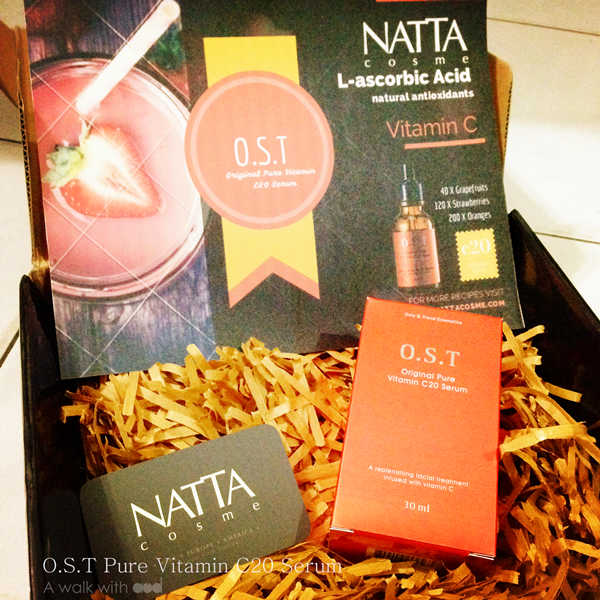 I personally have tried countless, but Natta Cosme has just added a new member to my pile. 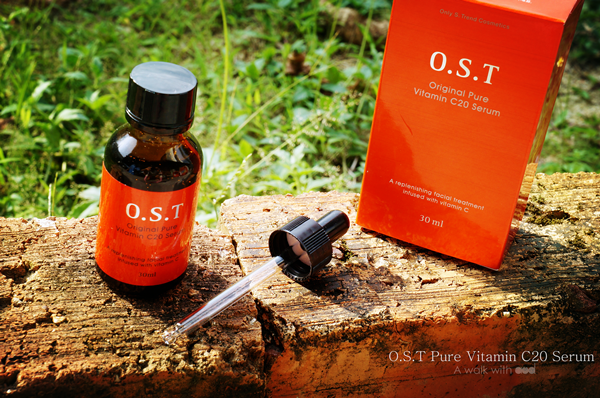 What so special about this O.S.T Original Pure Vitamin C20 Serum? 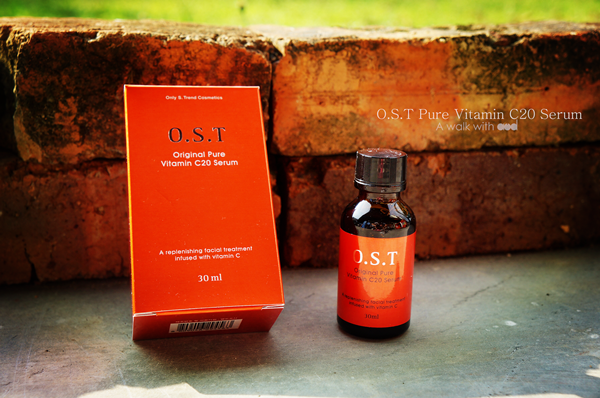 It is enriched with 40 x Grapefruits, 120 x Strawberries, and 200 x Oranges! 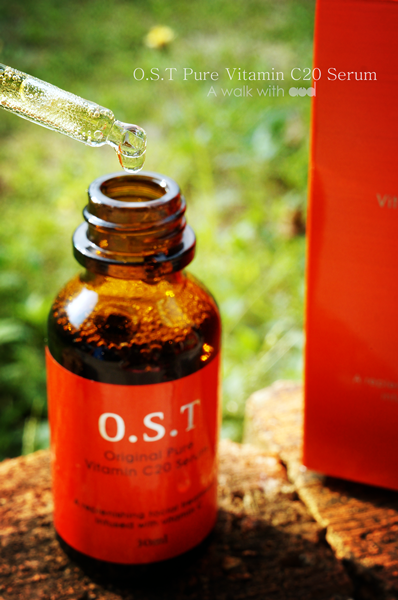 It claims to lighten scars, brighten skin tone, removing blackheads, improving skin texture and more. 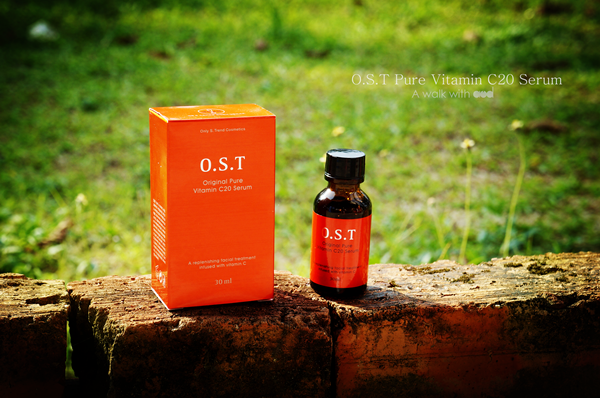 It comes in an orange packaging and a dark bottle to prevent oxidation. It also comes with a separate dropper cap. That makes the application so much easier. I am sorry if there's too many product photos, I pretty satisfied with this set of photos. I feel its pity not to show them all. Hope you enjoy the photos as much as I took them. 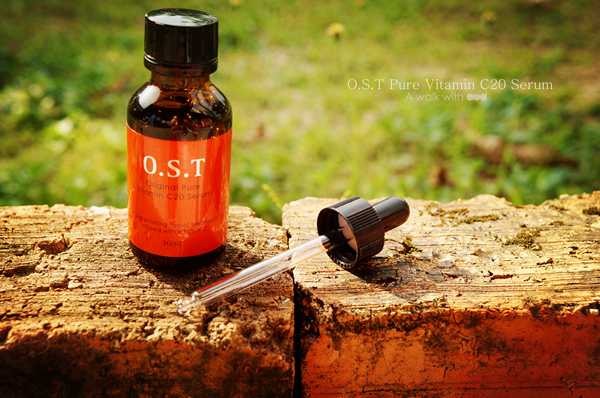 The serum is transparent with slightly orangie in color because it contains 20% pure Vitamin C.
And it really does smells like orange. 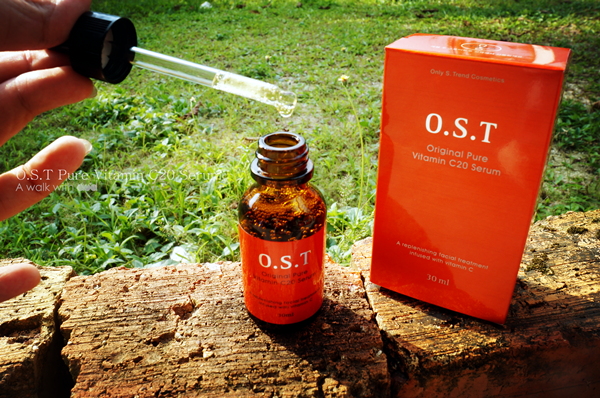 This serum is concentrated, so just one or two drops will do the job. 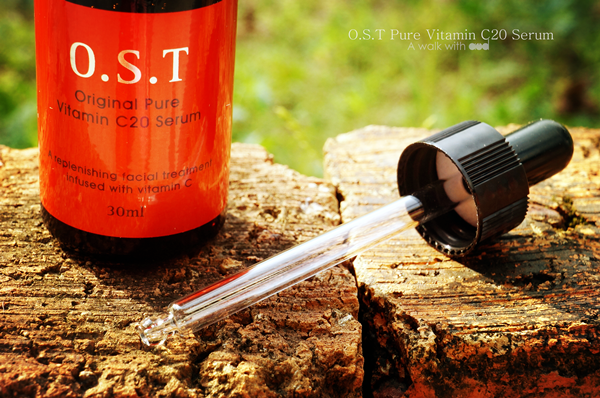 Don't be too greedy when it comes to this serum as it tends to be slightly sticky and it adsorb quite fast. 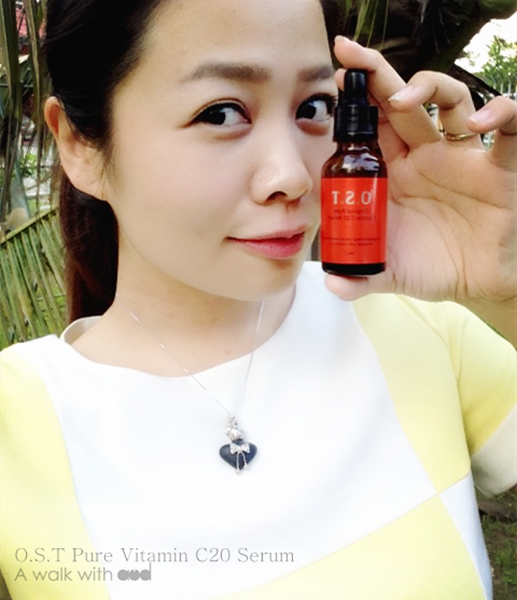 Here's my before and after comparison after using O.S.T Original Pure Vitamin C20 Serum for 2 weeks. Acne scars on my forehead are gone (I know I have a big forehead)! Wish to get one for yourself? Check the below details on where you can get one. 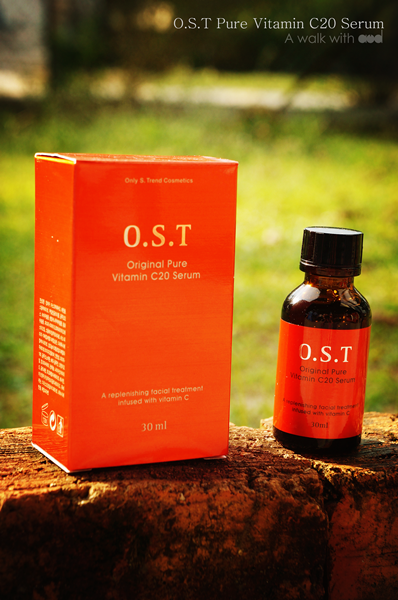 O.S.T Original Pure Vitamin C20 Serum is available at Natta Cosme. Get one for yourself today. wow ... that is quick difference before and after ! 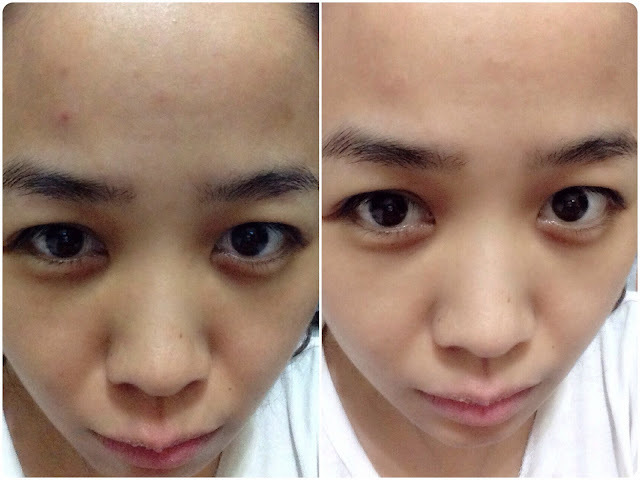 Yup, after 2 weeks the dark spots are gone! so happy! !